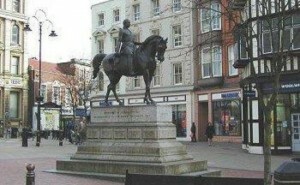 It has been my mission for the last five years to show the good people of my home city of Wolverhampton just how great special event catering can be if they just give the old options a miss and do something a little more exciting. And yes, that means booking me, their hog roast hire Wolverhampton caterer! Okay, it may sound a little self serving but there is absolutely nothing wrong with promoting the great taste of hog roast as it is without doubt the best way to cater for any special event. How do I know that? Well, it was by enjoying a hog roast party some years ago that I discovered just how amazing this food is. Since then I have been doing my bit to spread the gospel of hog roast to as many people as possible…and so far I seem to be doing a very good job of convincing people that a hog roast Wolverhampton option is the only serious option for any great event. I have catered for hundreds of events over the last five years and I get the same feedback about hog roast every time. They all absolutely love the fact that a hog roast looks so special as I cook away on the hog roasting machine. 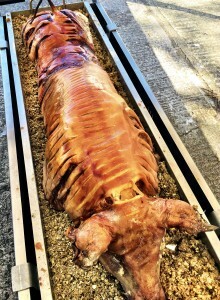 It does look very cool seeing a huge whole pig being slowly roasted for everyone to see and it makes a change for them to attend a function where they are not faced with the same old tedious spread of boring party food. In fact some people come up to me at events and say thank goodness, a proper cook and some proper food! When you book me as your hog roast hire Wolverhampton caterer you are very definitely making a sound investment as you will be getting some of the best event catering you will ever have experienced. 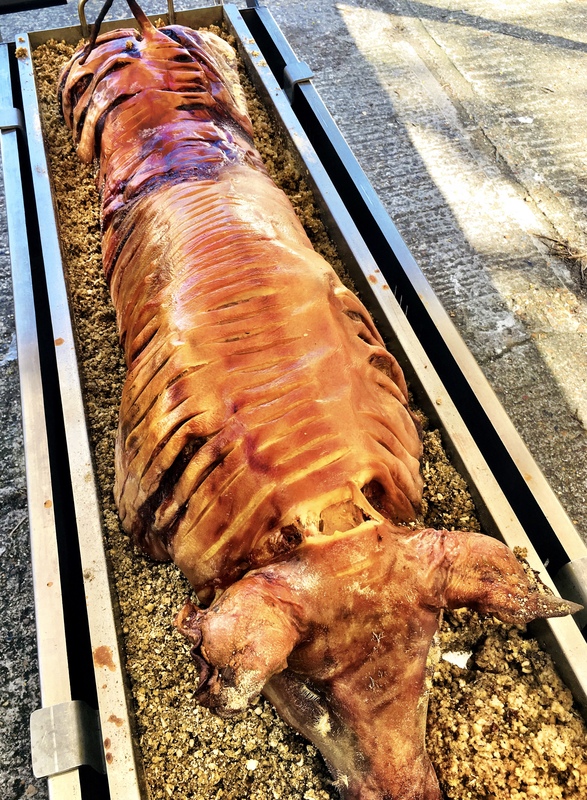 That may sound like a rather pig-headed comment but it’s true because a hog roast really is a work of culinary art that takes serious time and effort to ensure it is just right for your event. In fact my work as a hog roast chef starts when I select the meat. You see, the pig has to be just right and that means the right size and the right amount of fat. It also has to be a quality local pig that has been reared to a good standard, and only when that is sorted do I have my pig for roasting. That’s only half the story though, as I then have to cook the pig and that in itself is a lengthy process. It’s all about slow roasting you see, and I like to make sure that every hog roast Wolverhampton event I cater for enjoys the ultimate in quality hog roast. That means a long slow roasting of around six hours for every pig I cook. It may sound like a long time but slow roasting really is the only way to get the very best out of my pigs. That’s why the fat is so important, as it stops the meat drying out, helping create the most succulent and juicy meat possible. Many of my clients say that my hog roast meat is some of the tastiest meat they have ever tried, and that makes me as pleased as punch when they say that to me. You see I really do care about every event I cater for. I take that same level of care into the way that I prepare each hog roast because, and you may or may not know this, there different way in which hog roast can be served. Let’s suppose that you are organising a big birthday party where you are after a nice informal atmosphere or a student based event where it really is a bit of a free for all. Well, this is where my ‘pig in a bun’ hot hog roast rolls are simply ideal. 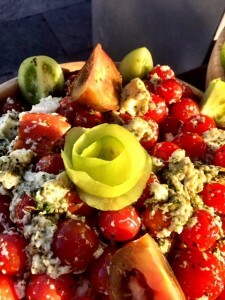 These are the ultimate in great party food, where I serve up healthy portions of meat with crackling and a choice of sauces for a great taste sensation. But if the event is something a little more refined – such as an important corporate event – then you will see me carving the meat with great care for a superb looking Wolverhampton hog roast gourmet meal complete with all the trimmings. You see, there’s a lot more to this hog roasting than you think, so make sure you consider a hog roast caterer for your next big event!